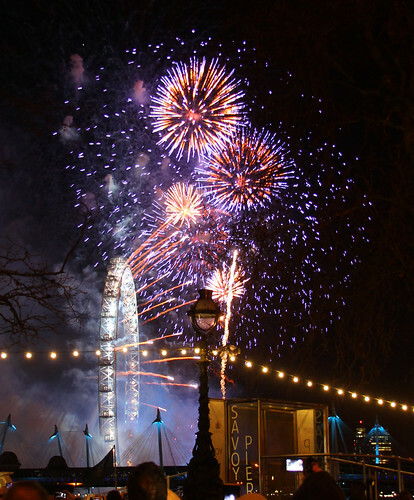 New Year firework display across from the London Eye. The fireworks were great but the organisation by the London Council was terrible. They decided that they needed to control the crowds for safety reasons, so their solution was to take 100,000 people and lock them in metal cages along the Thames. People were made to enter the cages 3 hours before the fireworks started with so little room that not only couldn’t you sit down, but it was so crowded it was almost impossible to move and for this we were charged £10.